Jewell like, isolated by hills and mountains, she sleeps in her valley. 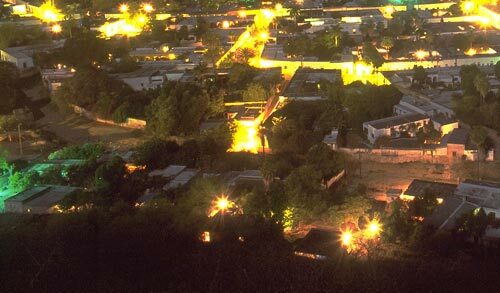 I was on Mirador late at night taking photos and video of Alamos below. A chill in the midnight air offered relief from what had been a long hot late-spring day. I was alone with my equipment, thoughts and a sleeping Alamos tucked in beneath a deep-inky blanket of shimmering Sonoran stars. I could see a pickup truck traveling on streets below. It had left the plaza and turned right off of Calle Benito Juarez onto Calle Tacubaya headed southeast. It continued towards me on Calle Arroyo Barranquita. It was the only moving vehicle I could see or hear. Experience had taught me to use all my senses and be alert to potential danger. The truck disappeared from view but I could hear it was approaching. A minute later I saw head lights coming up the Mirador road to the overlook where I was. It is quiet, a breeze rustles, and a lone vehicle moves through the streets. There were two policemen in the small pickup. The driver was a man I had seen across the street from the baseball park. 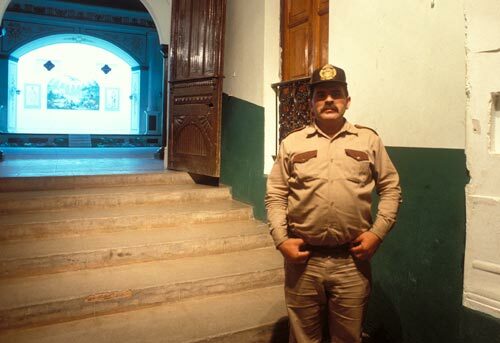 Every time I passed by, with camera bags and tripod, he shot me a cold stare that warned, “you are not welcomed!” Riding shotgun was the man pictured below guarding the Palacio. The pickup drove right up to me. The driver hopped out with that crazy look in his eye, he rushed towards, got in my face and demanded to know what I was doing. I backed away. The mustached policeman stepped in between us, turned to the driver, told him I was OK and suggested it was time for them to leave. There was a moment of silence as everyone considered the potential consequences. The driver said something under his breath, the two turned away, entered the truck, the driver slammed his door shut, started the engine, backed the truck away, turned around and headed down the road back to Alamos. The departing red taillights were a beautiful sight. Here is someone who stepped forward at a time I needed protection. From that time on the policeman with the magnificent mustache, I believe his first name was Antonio, and I would always acknowledge each other in passing with courtesy head nods and the realization he had helped me when help was needed. This shared experience made us both happy. From that moment on I avoided any contact with the other policeman. If I saw him driving the streets by himself at night I would duck into available shadows until he passed. Alamos is straight ahead some 1,500 miles as the crow flies. Where does the term as a crow flies come from? Have you ever watched a crow fly? The Spring shoot in Alamos was finished. At some point during the bus ride north across the Sonoran Desert, to continue documenting Upper Klamath Basin springs and waters, Timothy McVeigh blew up the Federal Building in Oklahoma City. I had arranged to return and film Alamos in the summer. Friends in Alamos gave me advice on what to expect during the monsoon season: Gringos warned of heat, humidity and bugs… Mexicans invited me to experience the drama, vibrancy and color of their favorite season. It would become my favorite season. 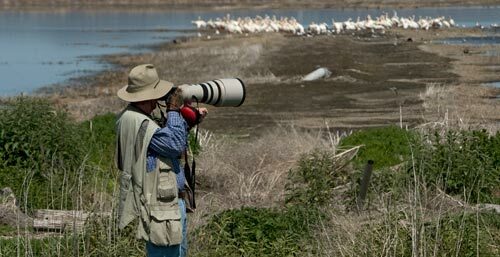 Anders on Tule Lake National Wildlife Refuge anticipating the moment. As time neared to leave Klamath Falls and head back to Alamos I started to prepare. I revisited my Alamos work book suggestions of what to bring, what to do, what not to do… I packed protective clothing, mosquito netting, spray bug repellant and a light-bulb-box system to dry my cameras out at night. I started to climb hills and mountains, loaded down with camera gear, to get in physical shape to reach summer views of Alamos from high ground. This day, atop Pelican Butte looking southeast towards Upper Klamath Lake and Klamath Falls, was my last checklist session. I went through how I would approach the shoot as I looked across The Great Basin and Range towards Alamos. One important rule was clear: always avoid the policeman with the crazy stare and never, never, be in a situation where we were the only two people. I was ready to do my best. I arrived in Alamos and was amazed by how much the countryside had changed. What was brown, dusty and sticks a few months back was now lush, green and overgrown. The summer shoot had begun. For the record… it was easier to document summer in Alamos than it was in the Upper Klamath Basin. Bugs and heat were a wash. Humidity, if you were on one of the Upper Basin lakes or rivers, was about the same. There was a brief period that the days were more intense on all comfort levels in Alamos, but they passed. The summer thunderheads were equally dramatic. 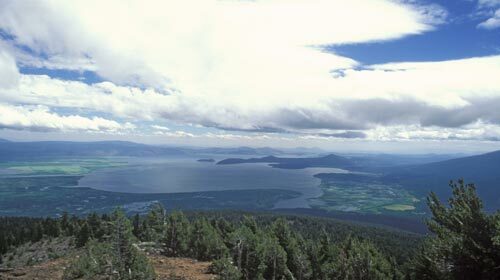 It proved the point that Alamos and Klamath Falls, actually Tulelake, are geographically related: Tulelake is the northwest corner and Alamos is the southeast corner of the Great Basin and Range. The policeman I told myself to avoid was no where to be seen. I learned he was considered by locals to be crazy and dangerous and he was recuperating in the hospital from multiple gun shot wounds. I saw him back on the streets in mid-September. I headed back north on September 30th. Anders has alway needed back packs, holsters and bags that allow him to carry equipment to places where only feet will go. This Lowepro was the largest photo backpack that was on the market in 2003. It can carry an amazing amount of gear in relative comfort. 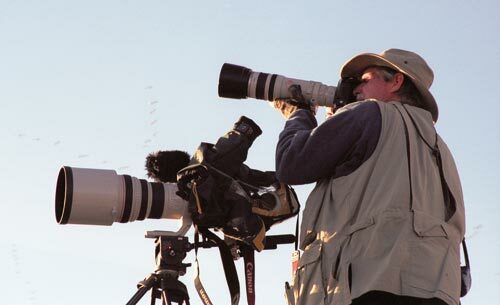 The Canon 400mm 2.8 lens is a wonderful set of glass and precision. 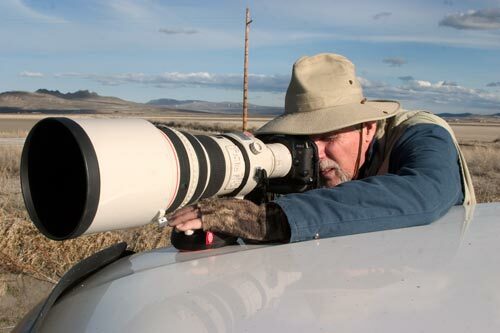 In this photo Anders has added a Canon 2x extender that makes the lens a 800mm 5.6. The Canon EOS-1v is one of Anders’ favorite 35mm cameras. On this day Anders was using Fuji Velvia asa 50 film. Anders, lens, camera and film, all together, make a hard working team. 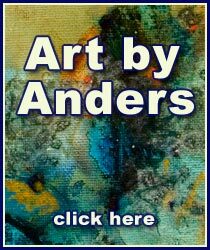 Anders often refers to the Canon 400mm 2.8 as being his poetic lens. Behind and to the left of Anders is the Peninsula also known as Castle Rock. Here is where the Tule Lake Internment-Segregation Center was during World War II. At this moment Anders is focused on waterfowl seeking food and sanctuary in a “Walking Wetlands” farm field that is flooded for three years and then returned to productive farmland. This was the truck that Anders used to document the Upper Klamath Basin, Klamath and Trinity Rivers. This is a large landscape and equally large political story of natural resource management, or the lack of it, and misconceptions created by trying to find easy answers for complex situations. 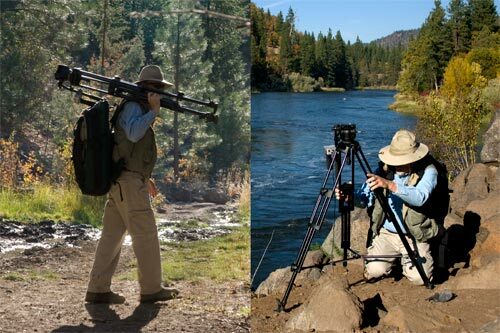 All of the gear shown played an important role in gathering Upper Klamath Basin images, video and sounds. Many people assisted Anders’ efforts. The gear that Anders is bringing for the 2017 Álamos Sonic Expedition will do a good job of capturing five days in the life of Álamos. Does he wish he could more equipment? Of course he does. But he will do the best with what he has. The bottomline is always subjects, conditions and light are the magic. Anders takes what he is given and tries to be in the right place at the right time and be in focus and properly exposed. 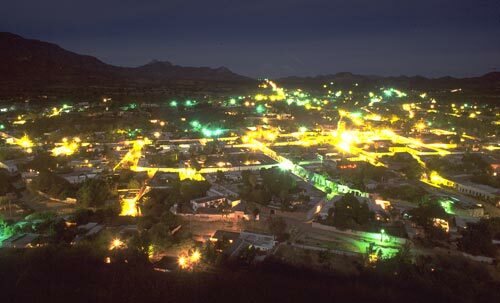 Viva Álamos, Sonora, Mexico.